Personalised bauble. I love these and they make the perfect keepsake for little ones to get out each year for the tree and one day take to their own home when they move out. Bubblegum Balloons create these beautiful baubles in navy, purple, silver and gold. They are filled with metallic confetti and concealed in plastic baubles to prevent smashing. Finished off beautifully with a satin ribbon. Paw Patrol Ultimate Fire Truck. This vehicle is equipped with an extendable 2 ft. tall ladder, flashing lights and sounds – it’s ready for anything! To activate, simply lift and pull! The adventure begins with Marshall in the lookout cab. Lift open the top to help Marshall leap into action! Using the water cannon launcher at the bottom of the cab, you can send up to three water cannons flying into the fire! 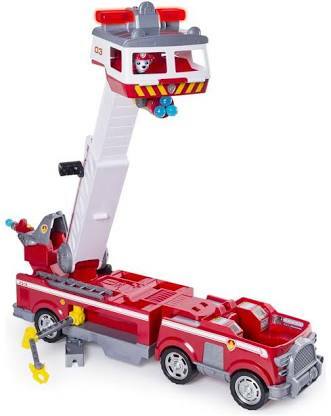 The Ultimate Fire Truck also features a mini fire hose for small missions and an extendable working claw arm. 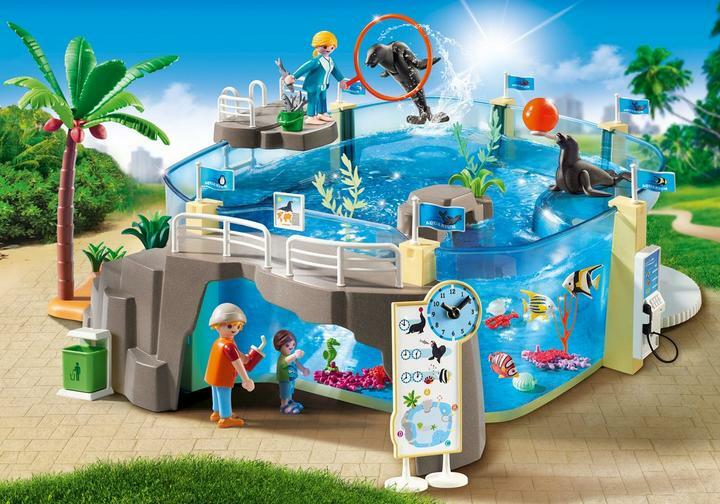 Playmobil Aquarium, with a visitor terrace, deep sea cave, panoramic windows and an adventure dome invite you to observe the sea lions and the underwater world. The aquarium can be filled with water. The transparent “viewing cave” has space for child figures and the sea lions can move their head and tail flippers up and down. The front flippers can rotate. The sea lion fits through tyres and can balance a ball on the holder. The tyre can either be held directly by a figure or attached anywhere on the rail around the pool using the clip. Choose a book to personalise from In The Book range of firm favourites and keepsakes. Your child’s name appears on the cover, hidden in the illustrations, or within the story – they’ll embark on extraordinary adventures and journey into worlds that belong entirely to them. 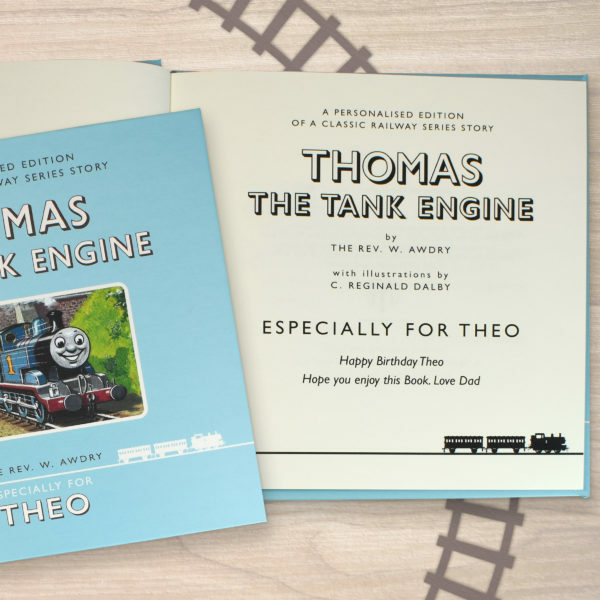 We have got Lucas the Thomas the Tank Engine First Edition Book which is just beautiful, I can’t wait to see his face when he opens it up! It also came in a stunning gift box for that extra special finishing touch. 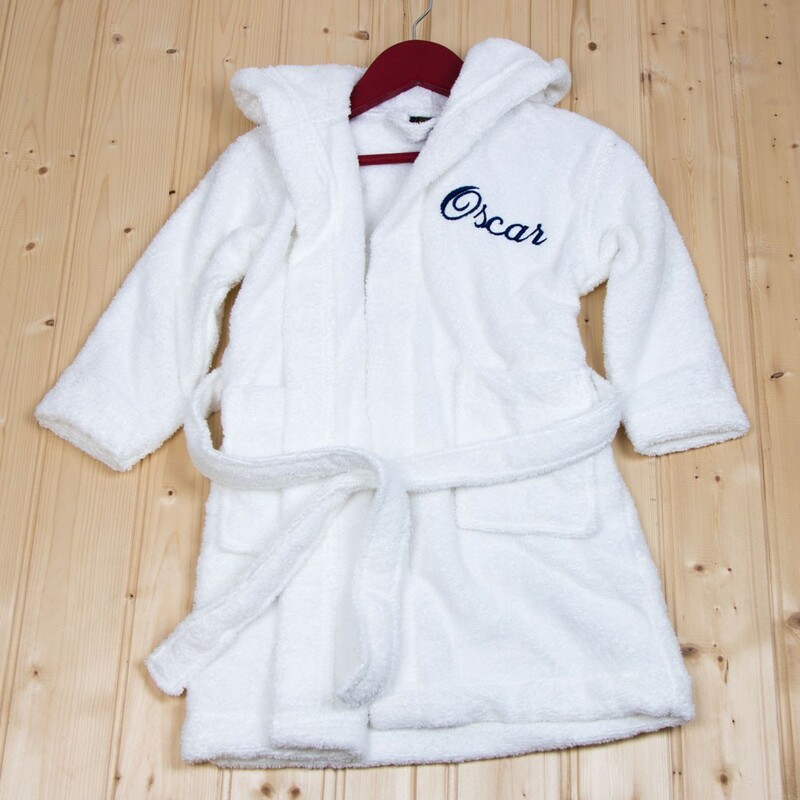 Personalised bath robe, available from 6 months to 6 years. They are beautifully soft to keep your little one warm and toasty even on the coldest of evenings. It features a hood and can be personalised with up to 14 characters. The personalisation is intricately embroidered in baby blue, light pink, bright pink, dark blue, gold, green, mid bright blue, navy or silver. Dessineo Learn to Draw. Lucas has this and also the Dessineo Painting Easel. 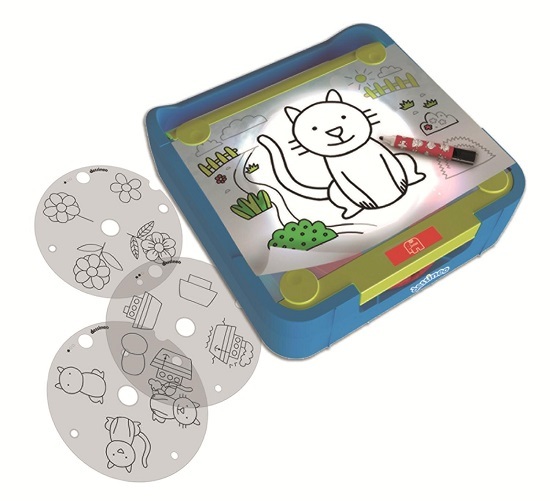 Both use templates and stencils to show children step by step how to draw/paint. The Learn to Draw includes pictures to support animal, vehicle and shape recognition. To make drawing easier, Dessineo has a light up projector that shows a perfect outline for children to easily draw around. With 30 slide templates, the fun is endless and children will be happy and having fun whilst learning. Create Your Own Happy. This illustrated activity book empowers children to shape their lives, and the lives of others around them, by taking practical, positive steps towards their own happiness and positive self esteem! Discover everything happy with this interactive, fun activity book! From speaking in front of your class to standing up for others; planting a seed bomb outdoors or making your own happy playlist, making a recycling monster to paying kindness forward, learn how to Create Your Own Happy! For increasingly independent thinkers and proactive young people,this book gives them a handle on their own emotional wellbeing to best equip them with confidence for the everyday challenges of life and school. They’ll learn about the inspiring and surprising science behind emotions along the way, carry out activities with family or independently, and most importantly, find smile-tastic ideas for expressing themselves! Crate Creatures. Unique creature features gives each character fun actions. 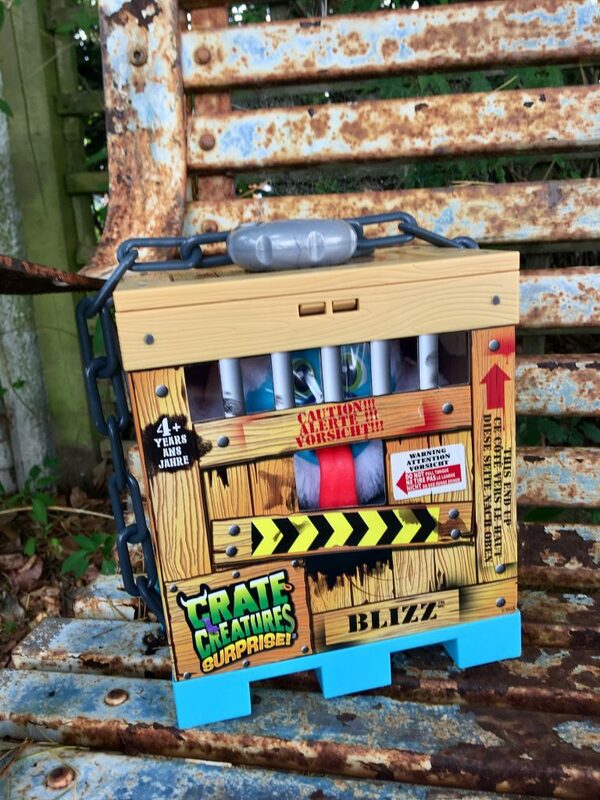 Includes creature, food accessory, lock & chain, crowbar, and reusable crate to store your creature in. Each creatures comes with 45+ creatures sounds. Record your voice and creature will play back your message in monster voice. Zimpli Kids have a range of fun bath time products including goo and slime. 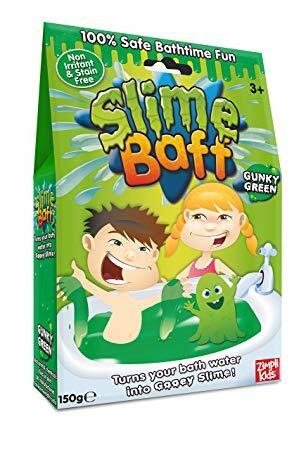 The Slime Baff is a totally unique, fun, bath time product that lets you turn water into goo and back again! By adding Gelli Baff powder to water, you create a thick colourful goo. Add a ‘dissolver’ powder, to turn the goo back to water! The Slime Bagf turns your bath water into a gooey, oozy bath of slime. By just adding more water, the slime can be diluted into coloured water that can be safely drained away. If you want something for playing out of the bath, there are SnoBalls. SnoBall Battle Pack transforms a once seasonal experience into something that can be enjoyed all year round – even in summer!! ​ Add the SnoBall powder to water, watch it turn into realistic snow that you can mould to create your very own Snowballs. All three products are biodegradable. Thank you for the great gift ideas and giveaway! What a lovely giveaway so close to Christmas. looks like a great website for selection of gift ideas! I love the look of ‘create your own happy’ book. What an amazing Bundle! Would love to win for my daughter. Great review. I love the Playmobil Aquarium! What a lovely bundle of toys to give away! This would help save me some pennies for Christmas! Oh I love the create your own happy book what a bargain too! My daughter would love this, nice illustrations and easy read thanks for sharing! So many christmas present ideas there! Fantastic. wow some fantastic items here & I absolutely love the Playmobil Aquarium I think I’d be excited to play with that myself! Lots of great ideas, love the Playmobil Aquarium. Some great gift ideas Playmobil is always a good one. there are some fantastic ideas here 🙂 I really enjoyed reading this! 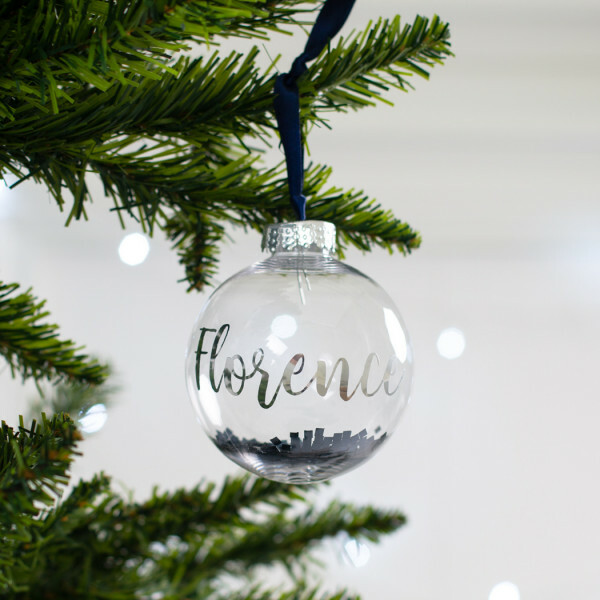 Super gift ideas, I love this blog post it is making me really excited for Christmas!! 🙂 Thank you. This would be great for some little Christmas stocking fillers. Fingers crossed! I am pleased to know about what2buy4kids and appreciate the giveaway. Great selection of toys. I have quite a few children to buy for this Christmas and a couple birthdays in between. this is fantastic and has given me some really good ideas of what to buy my niece and nephew! great ideas, I know my granddaughter would love the fire engine as she loves anything Paw Patrol-related. Some great ideas for the big day as always. Thankyou! Great prizes, a great selection. The bathrobe is lovely. Great giveaway. I bought a personalised bauble for my Granddaughter last year, my Grandson wants one this year! Some great ideas, Santa would love this prize as a contribution! Awesome giveaway and some good gift ideas, my kids would love it all! So many good ideas on here! Luckily my little one is only 17 months so it’s easy at the moment! Lovely giveaway. It’s making me feel so festive! What a great giveaway! I love to read reviews on Christmas gift ideas, especially for children. There’s so many gifts out there, it’s nice read about them. Theres some great ideas here. I love the look of the playmobil aquarium. I love reading reviews about children’s toys. They advertise them so well on the telly but I like to read about someone who has actually used them. Some great ideas for presents here, I need more ideas. 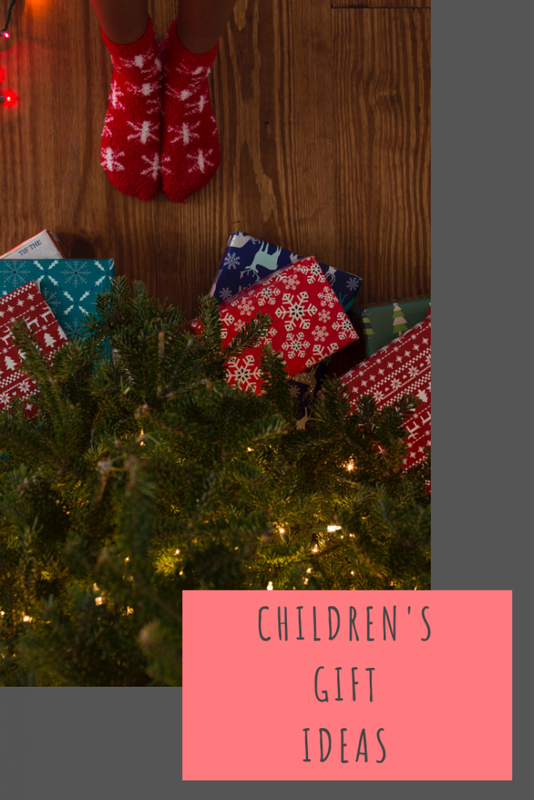 Some great ideas for Christmas! PLUS a great giveaway! What a super selection of prizes. My grandchildren would love them. Great ideas that are very helpful, thank you. 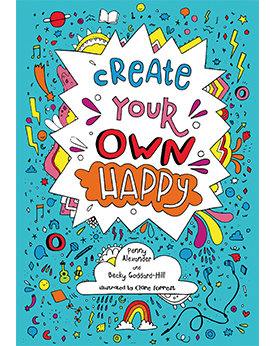 The create your own happy book looks fantastic! I’d love to win the Playmobile Aquarium because Leo is mad about playmobile figures. So this would keep him happy for hours! Great Prize, can never have too many stocking fillers! Great ideas! Thank you for the giveaway too! Some great ideas here, my girls love the Slime Bath. How wonderful, thank you for the chance! That would be a big help if I won, I have 3 children with very long lists.